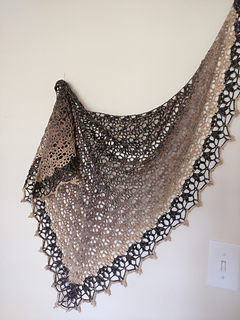 Camellia is a modified triangle-shaped shawl worked top-down. 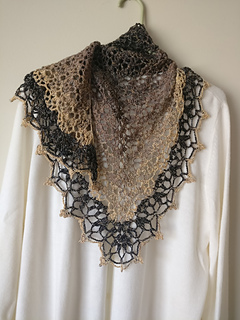 The triangle has curved top edge, which makes the shawl stay on the shoulders by itself. 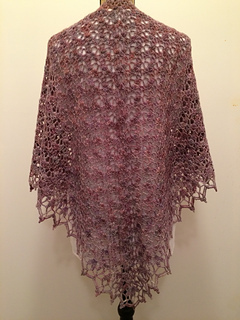 Pattern uses dc clusters which create a delicate flower stitch. 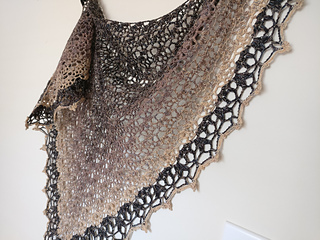 Finished size: wingspan 71”/ 180 cm, depth 43.5”/ 110 cm. 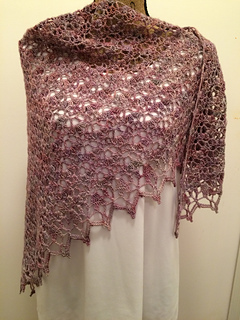 Pattern written in srandard US terms and fully tested.